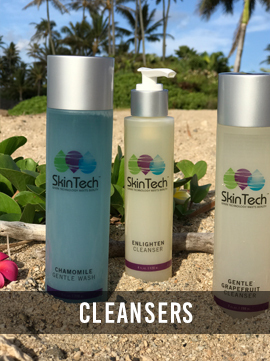 A gentle foaming soap-free wash that will appeal to all skin types. Those with particularly dry or sensitive skin that reddens easily will like this cleanser.Client use:Wet hands and face, use gentle circular motions to massage a small amount of Chamomile Gentle Wash onto face. 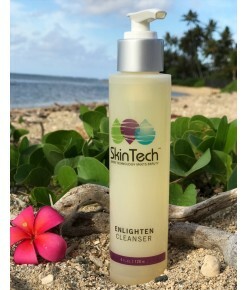 Rinse off and follow with toner and the rest of you skin care regime.Main ingredients:Green tea - anti-inflammatory, helps prevent and reduce sun damageChamomile – soothingAzulene - soothing, anti-bacterial, anti-inflammatoryCalendula extract – soothing, reduces inflammationLavender - anti-septic, anti-biotic propertiesRaspberry leaf – soothes oily or inflamed skinBoswellia serrata - anti-inflammatory..
Normal to oily skin types with enjoy this is a gentle, yet effective foaming cleanser. 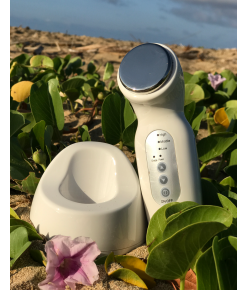 It cleanses deeply and removes excess oil without over stripping.Client use:Wet hands and face, use gentle circular motions to massage a small amount of Gentle Grapefruit Cleanser onto face. 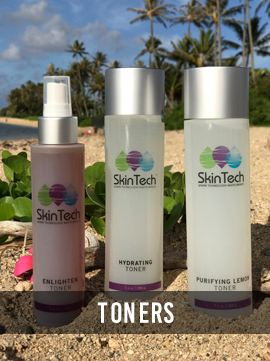 Rinse off and follow with toner and the rest of you skin care regime.Main ingredients:Aloe Vera - rejuvenating, healing, softeningAllantoin - moisturizing and keratolyticAscophyllum nodosum – form of algae, detoxifier,anti-inflammatory, a trace mineral that acts as a building block of enzymnes that maintain the proper skin function.naturally - occurring, organic iodineGrapefruit - balances oily skin and regulates the production of sebum.. 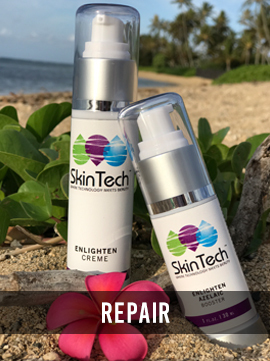 Product Description:Combat dark spots, age spots, and acne-induced discoloration with our mildly foaming cleanser recommended for anyone with pigment concerns. 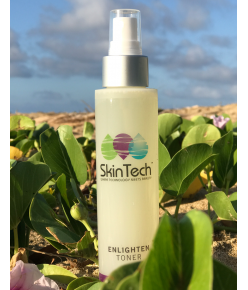 This daily wash contains four powerful skin brighteners which target pigmentation and unwanted melanin production for a more radiant, youthful-looking complexion.Client use:Wet hands, face and neck, gently massage onto skin. Rinse thoroughly. Main ingredients:Potassium Azeloyl Diglycinate - Offers anti-bacterial and comedolytic benefits. It is a reversible inhibitor of tyrosinase, delivering whitening benefits to the skin.Mulberry Root Extract - Mulberry has been used for centuries in Chinese Medicine. Newer discoveries make it very useful in skin care, as it has been found to lighten age spots and uneven skin tone. Has been postulated to promote hair growth and have antioxidant and anti-septic properties.Licorice Root Extract contains glycyrrhetic acid and flavinoids that have a soothing, regenerative and anti-oxidant properties. 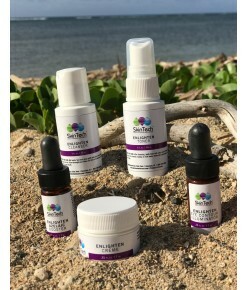 Licorice extract is thought to inhibit melanogenesis and is thus used as a skin whitening agent.Daisy Blossom Extract - Is one of the most sought after natural skin lighteners as it addresses the three main pathways that lead to dark spots and uneven skin tone as a result of sun damage. Bellis Perennis (Daisy) Blossom Extract influences biochemical pathways involved in melanin synthesis by: inhibition of tyrosinase, transcriptional control of tyrosinase expression, reduction of the pro-melanogenic mediators endothelin and α MSH (melanin-stimulating hormone) as well as reduction of melanosome transfer to keratinocytes.Kojic Acid - Is used as a skin toner and lightener. It is a by-product in the fermentation process of malting rice. It is a depigmenting agent that targets age spots by helping to establish an even skin tone. 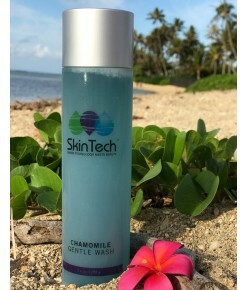 ..
All skin types will enjoy this alcohol-free toner that restores pH and hydrates the skin. 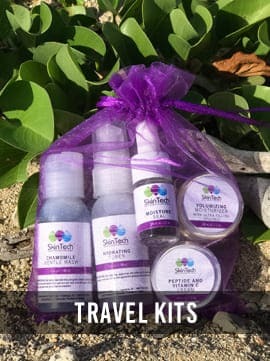 Wonderfully refreshing and aromamatically scent that includes a blend of essential oils.Client use:After cleansing, apply toner with cotton pad to remove and reside from cleanser, makeup or hard water. 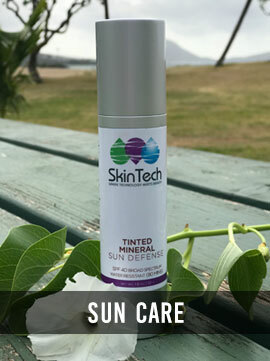 Leaves the skin pH balanced and ready for serums and protective treatments.Main ingredients:Lavender oil - anti-septic, anti-biotic propertiesYlang Ylang oil – softens and hydratesCedar bark - balances and restoresTea tree oil – anti-septic, anti-fungal, healingLemongrass oil – anti-septic, healing, good for oily acne skinGreen tea – anti-inflammatory, helps prevent and reduce sun damageChamomile – soothingYeast extract - (phyto hyaluronic acid) stimulating and activating effect on cell metabolism by means of an increased production of ATP (the energy of the cell), wound healing, hydrating..
Oily or combination skin types will appreciate this antiseptic toner. It soothes and purifies as it sweeps away excess oils and debris.Client use:After cleansing, apply toner with cotton pad to remove and reside from cleanser, makeup or hard water. 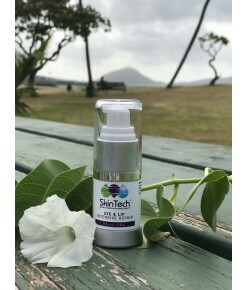 Leaves the skin pH balanced and ready for serums and protective treatments.Main ingredients:Witch hazel - anti-oxidant and astringent, which makes it very useful in fighting acne, reduces swellingAllantoin – moisturizing and keratolyticYeast extract - (phyto hyaluronic acid) stimulating and activating effect on cell metabolism by means of an increased production of ATP (the energy of the cell), wound healing, hydratingGrapefruit - balances oily skin and regulates the production of sebumLemon peel oil - antiseptic, anti-inflammatory, astringent properties good for acne prone skinChamomile – soothing.. 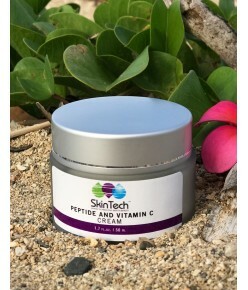 This is a fast penetrating therapeutic cream that addresses visible signs of aging. 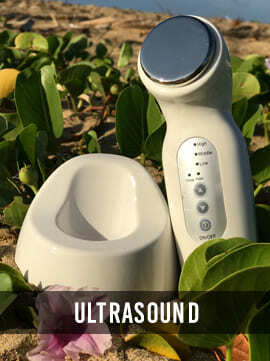 This will enhance firmness, helps with elasticity loss, and softens the skin.Client use:Use after anti-aging serums. Warm the cream between palms before applying. 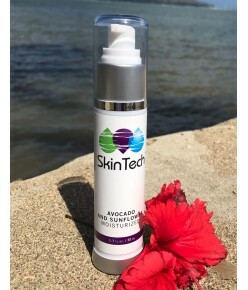 Great for anti-aging or for those who spend time in the sunMain ingredients:Jojoba oil - conditions and softens the skinAvocado oil - a concentrations of vitamins, fatty acids, and minerals. Avocado oil consists mostly of oleic, linoleic, and linolenic acids, vitamin E, and potassium. Avocado oil helps protect the skin be preventing evaporation of water from the skin surface. 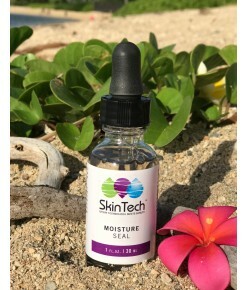 This keeps the skin moisturized and supple, improving elasticity and long term water-retention capability.Ascorbic acid polypeptide – water soluable, stable form of Vitamin CAscorbic acid – Vitamin CAscorbyl palmitate – fat soluble form of vitamin CStearic acid – used as a thickening agentOctyl dodecanol – lubricating, emollient, used as a thickener in moisturizersPEG 100 stearate – emollient and emulsifierGlyceryl stearate – prevents skin from moisture loss.. Designed for a skin that needs more nourishment. 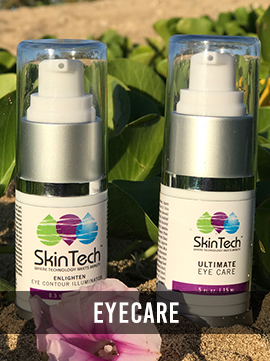 It offer long-lasting hydration due to a high concentration of actives which improve the appearance of skin’s tone, texture, and firmness. Revitalizing Co-Enzyme Q10 boosts the humectant properties of Organic Sunflower, Avocado and Jojoba Oils. Fresh Basil, Raspberry and Seabuckthorn Oils increase hydration.Client use:After cleansing and toning, apply a small amount to face and neck and massage in gently. May be used in the morning and evening.Main ingredients:Helianthus Annuus (Sunflower) Seed Oil – Rich in nutrients such as calcium, iron, magnesium, zinc and vitamins A, K and E, it's used effectively against inflammation and general irritations of the skin. 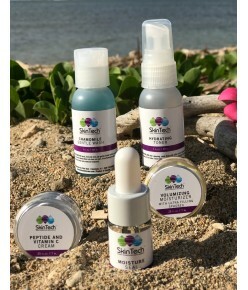 Being very high in vitamin E, it acts as an emollient which traps moisture and keeps skin well hydrated.Persea Gratissima (Avocado) Oil - high in fat and vitamins A and C, helping to nourish, moisturize and provide antioxidant protection.Butyrospermum Parkii (Shea Butter) – high in vitamins and fatty acids in makes it nourishing and moisturizing for skinCitrus Medica Limonum (Lemon) Peel Extract – skin conditioning, high in Vitamin CSimmondsia Chinensis (Jojoba) Seed Oil - treats acne, psoriasis, sunburn and chapped skin. plays the role of sebum and moisturizes our skin and hair when our body stops doing it naturallyArginine- animo acid, speeds wound healingSoybean Lecithin – humectants, draws water from the skin to the surfaceOcimum Basilicum (Basil) Oil - anti-bacterial, anti-fungal, anti-oxidantRubus Idaeus (Raspberry) Fruit Extract – anti-oxidant, soothing, calming, keralyticVaccinium Angustifolium (Blueberry) Fruit Extract – Vitamin A & C Prunus Domestica Fruit Extract – Extract of plum, soothing, moisturizingDaucus Carota Sativa (Carrot)Root Extract- Vitamin A, Beta-caroteneRosa Canina Fruit Oil – Rose hip oil, moisturizingRubus Idaeus (Raspberry) Seed Oil – moisturizing, occlusive, anti-oxidant, anti-inflammatoryArbutin – LighteningHippophae Rhamnoides Fruit Oil – oil extracted from sea buckhorn berry, cell regenerating, anti-inflammaotyr..
Enlighten Cleanser 1 ozEnlighten Toner 1 ozEnlighten Azelaic Booster .25 ozEnlighten Eye Contour Illuminator .25 ozEnlighten Cream .25 oz..
Chamomile Wash 1ozHydrating Toner 1ozPeptide and Vitamin C Cream .25ozVolumizing Moisturizer .25ozMoisture Seal .25oz..
SkinTech, LLC was created with you in mind. You, the person that wants to age gracefully, the person who is committed to being the best you ever! 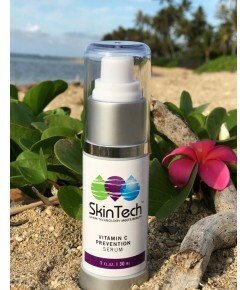 SkinTech, LLC is a cosmeceutical line that has high concentrations of biologically active ingredients. 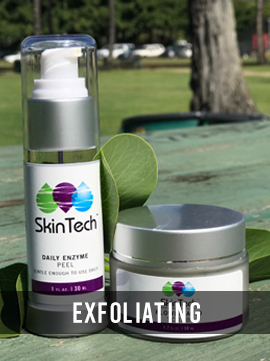 The benefits go beyond traditional skin care products to restore aging skin to its youthful glow. 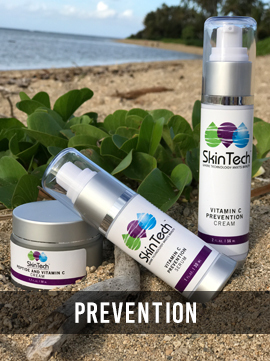 Since starting in the skin care industry in her 20s, now in her 50s, her personal need for effective anti-aging skin care has become a priority. 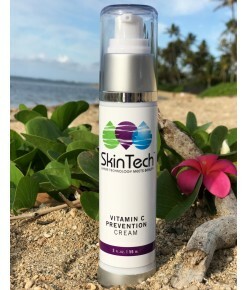 As a result, SkinTech was born! Click here to learn more about us.